The panelling inside includes slivers from Scott’s Antarctic Sled, the Mary Rose, Sir Isaac Newton’s apple tree, Hut Six at code-breaking centre Bletchley Park, one of Sir Edmund Hillary’s Everest ladders and from the beams of most of our great Cathedrals. Below the Queen’s seat inside the carriage is a capsule carrying a piece of Scotland’s Stone of Destiny, upon which monarchs are traditionally crowned, surrounded by a bolt from a Spitfire, a musket ball from the Battle of Waterloo, a bolt and rivets from the Flying Scotsman and a button from Gallipoli. There’s even a fragment of the bronze cannon from which every Victoria Cross is cast, and a piece of metal from the wreckage of a 617 Squadron Dambuster. All the leather is English, as is the gold silk brocade upholstery (from Sudbury). The lamps are glazed with the finest lead crystal from Edinburgh and the heraldic paintwork has been hand-painted by Irish-born Australian Paula Church. The door handles are from New Zealand — each is gold-plated and inlaid with 24 diamonds and 130 Australian sapphires by Kiwi jeweller Mike Baker. The handrails inside the Diamond Jubilee state coach are made from Royal Yacht Britannia timber and a wooden crown covered in gold leaf – which forms the centrepiece of the roof’s decorations – was carved from oak from Nelson’s flagship, HMS Victory. This also houses the royal website’s ‘coachcam’. 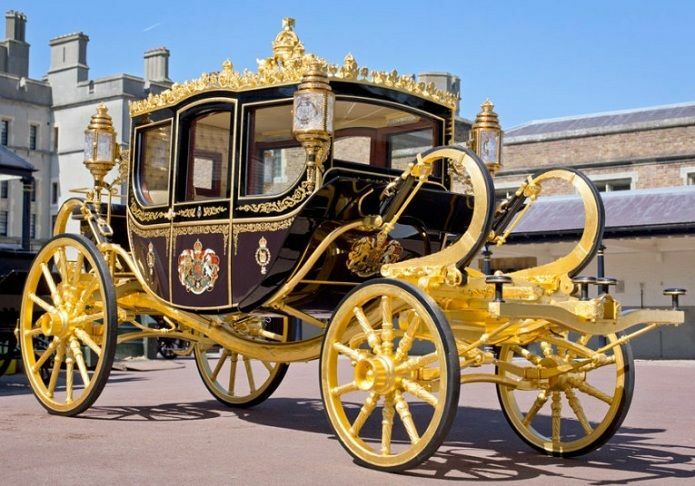 The coach does has modern features however, such as six hydraulic stabilisers covered in gold leaf, fitted to the carriage to ensure a smooth ride, as well as electric windows and heaters. 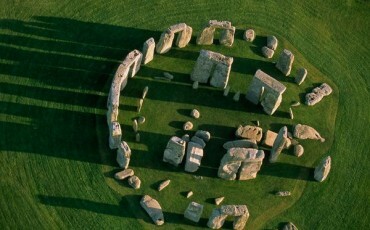 Following a private donation, it was acquired for the nation by the Royal Collection Trust. Diamon Jubilee State Coach. Photo: ©HM QUEEN ELIZABETH II. I was born in London and have lived there for most of my life although I have now ‘decamped’ to what is known as the suburbs. Kensington Palace has been a royal residence for over 300 years and is now the London home to Prince Harry, Prince William, Catherine Middleton and the young Prince George and Princess Charlotte. Although their residence is private, a large part of Kensington Palace is open to the public to explore the lives of past royal residents, and visit the historic rooms that have shaped a nation. 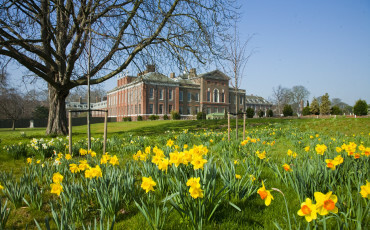 Below you'll find 10 top facts about Kensington Palace. When British Monarch King Henry VIII had his son Edward christened on 15th October 1537 at Hampton Court Palace, it was a celebration of his dynasty and its seemingly secure future. 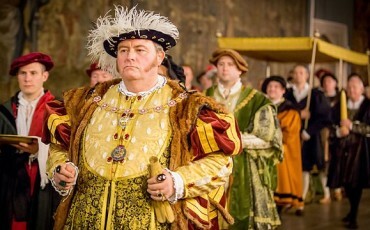 To commemorate, staff recently donned costumes – borrowed from the Royal Shakespeare Company – to join actors in a television programme recreating the christening of Henry’s longed-for heir. The BBC documentary which aired this past January was presented by Historians Lucy Worsley and Dr David Starkey and heralds a year of celebrations marking the 500th anniversary of Hampton Court Palace.